Gov. 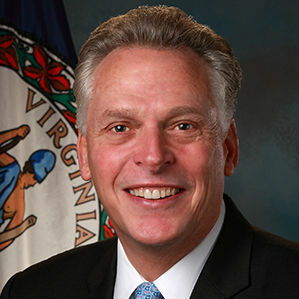 Terry McAuliffe announced this week that Kilgour Industries Ltd, a United Kingdom-based supplier of aircraft airframe and engine machined products will invest $27.3 million in its first U.S. operation in Henry County and create 155 new jobs. Kilgour specializes in computerized numerical control (CNC) machining, wet chemical surface treatments and sub-assemblies of aerospace components. Virginia successfully competed against Florida, Michigan, North Carolina and South Carolina for the project. Kilgour Industries, a family-owned company established in 1966 in the United Kingdom, supplies aircraft airframe and engine machined products in aluminum, steel and titanium to the major aerospace original equipment manufacturers. Kilgour’s mission is to be the market leader in precision engineering and treatments for the aerospace industry. The Virginia Economic Development Partnership worked with the Martinsville-Henry County Economic Development Corporation and the Commonwealth Center for Advanced Manufacturing to secure the project for Virginia.Governor McAuliffe approved a $250,000 grant from the Governor’s Opportunity Fund to assist Henry County with the project. The Virginia Tobacco Indemnification and Community Revitalization Commission approved $1.15 million in Tobacco Region Opportunity Funds. The company is eligible to receive state benefits from the Virginia Enterprise Zone Program, administered by the Virginia Department of Housing and Community Development. Additionally, through its Virginia Jobs Investment Program, the Virginia Department of Small Business and Supplier Diversity will provide funding and services to support the company’s retraining activities.